Your time has come to start teaching your kid how to potty. You'll know they are ready when they suddenly tell you what's inside their diaper. 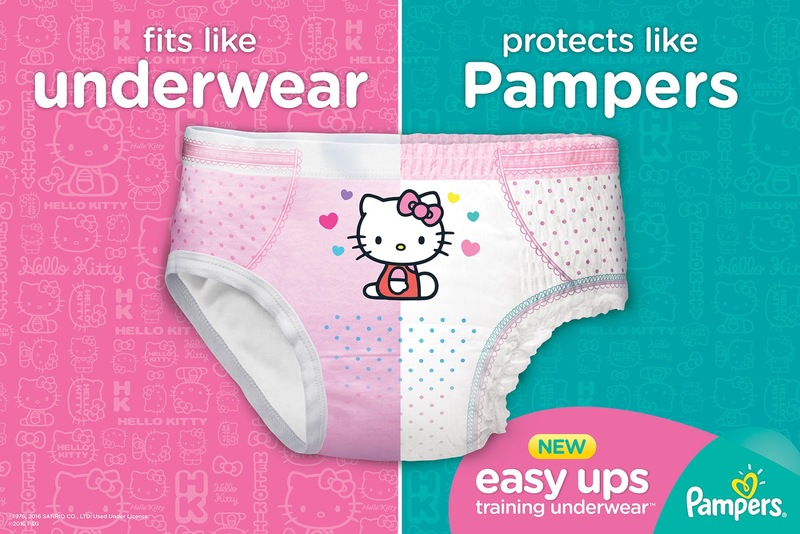 Make this new transition special for your little one by giving them their fist pack of training pants from Pampers® Easy Ups! Transitioning into underwear is a big deal for every toddler! 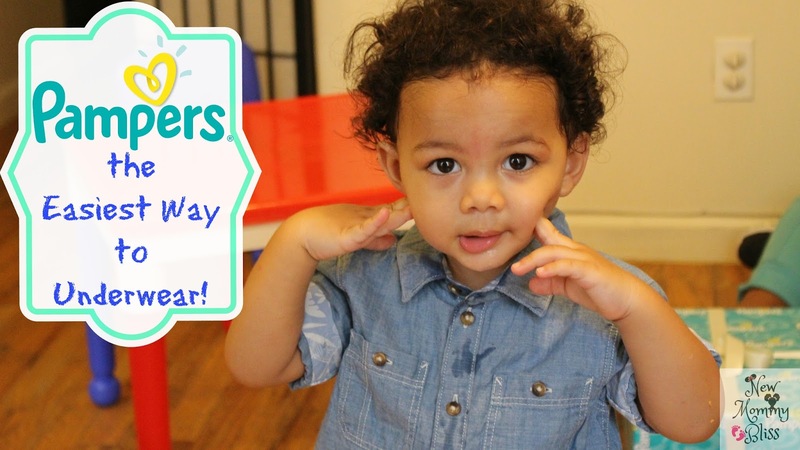 While the end result is always rewarding, the road to getting there can be difficult for parents and kids alike.In August, Pampers launched a new and improved Pampers Easy Ups Training Underwear! A product designed to fit, feel, and look more like real underwear, while providing outstanding Pampers leakage protection. Let's not call it "Potty Training"... call it "Underwear Training". Pampers Easy Ups are available nationwide in sizes 2T-3T, 3T-4T, and 4T-5T. Pampers Easy Ups have a 360° stretchy waistband and super soft material that give your toddlers a fit and feel just like real underwear, helping to build confidence with an elastic waistband that’s easy to pull on and off. Easy Ups also tear easily at the sides just in case that #2 seems like an atomic explosion. Easy Ups is the only training underwear with Extra Absorb Channels™, helping to keep toddlers dry during the day AND the long night. Dual Leak-Guard Barriers™ around the legs prevent the leaks that can happen when they are on the move. The Thomas the Engine™, Dora the Explorer™, and NEW Hello Kitty™ designs on Easy Ups help make potty training fun for both boys and girls. To learn more about Pampers products visit www.pampers.com, join the Pampers Rewards program, and find ideas and information to help your baby get the most out of love, sleep and play. For more information, you can also visit Pampers social media channels on Facebook, Twitter and YouTube. I need Pampers in a girl in size 3t-4t size. Thanks. I would need Boy size 4T-5T. I would need Boys size 2T-3T. I need Pampers in 3T-4T in boys please. I would want 4t for a boy. thanks! I would need 3T-4T in girls. I would like Boys size 3T- 4T. I would like boy in size 2. I would need girls size 3T/4T. I would need the boys 3T-4T. I would love to win them in girl in 2T for my daughter Aubrey! Thank you!! I would like Girl 4T-5T. I would need Boy's 2T-3T. I would like a Girl Size 3T-4T! I would need girls size 3t-4t. $50 is a great giveaway. My kids have been out of these sizes for years, but I have a girlfriend who could totally use this. I have to tell her about it. My little one just completed her first "all dry day" yesterday since we'd started potty training about a week and a half ago. She's only 12 months old, so we use diapers, mostly cloth, at naptime and nighttime, but for travel, I'd definitely stick her in one of these Pampers Easy Ups! My little ones are long past this stage but I remember just how convenient they were when we potty trained! Good luck to everyone who enters! You won't be disappointed in this product at all. My kids all used Pampers Easy Ups. They made potty training so much easier and the designs were cute for them. Everyone is long past this stage. It's a great product when you're going through the potty training stage. Good luck to everyone who has entered. Pampers is an amazing diaper!! I used it for all of my kids. 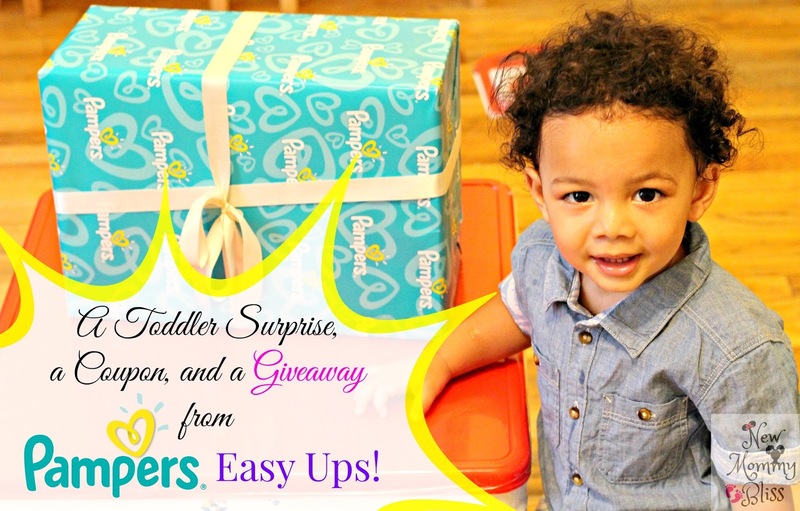 Pampers Easy Ups made potty training so much easier! Less clean up for mommy!! I could use the boys size 4T-5T Pampers Easy Ups. I like that they have Thomas the Train on them. Pamper Training Underwear sounds like a great way to start underwear training. This is a post I will have to share with my sister and niece's with little ones. Thanks for sharing the giveaway, coupon, and the video. I remember when my girls were potty training. Pampers was always a great choice for that. I love the unboxing video too! 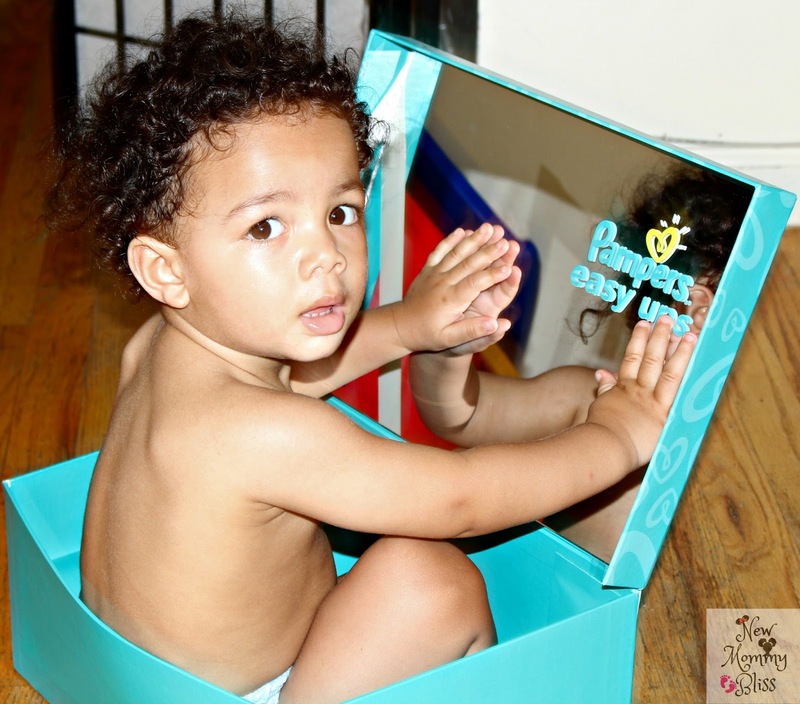 Pampers Easy Ups make potty training so much easier. My Kids did really well with them. I would need a boys 3T-4T. Thank you ! My son wears the Thomas ones. We started potty training a few weeks ago. I love Pampers. This reminds me so much when Jacob was potty training. Pull ups are big help to accomplish the milestone. What a cute unboxing video! My daughter is underwear training too and she got so excited to see Dora on her "big girl pants!" We're just switching to pull ups on the last toddler - after almost 5 years of diapers, I'm ready to be done! I love that they added a mirror in the box! My son would love that! Wow these are super cool. I hope they make it to South Africa soon. My kids love Dora.